UBP has always lead the industry in the custom design category. With a full team of Sales Engineers, we are ready to modify your package per your specifications, performance, and needs upfront in order to fit within your budget. Whether it is designing a direct drive system to fit on a 2nd floor mezzanine under a stairwell or simple adjustments of a few options to meet low maintenance, energy saving, or on site conditions, we can make anything custom for your application. For any problem you have, give us a chance to design a solution for you. UBP is able to build an enclosure for any application. 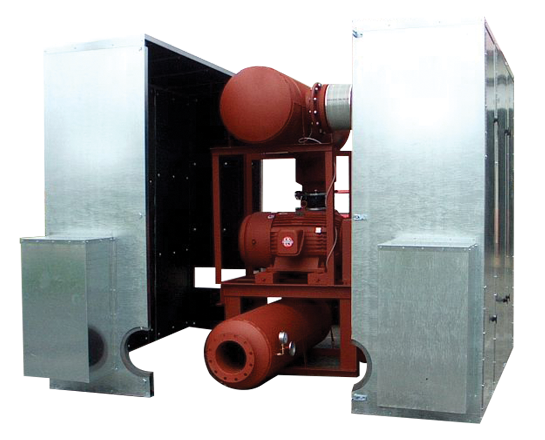 The leaders in odor control fans, multistage centrifugal blowers, regens, and other equipment come to us for custom enclosures. Different products have different frequencies and airflow requirements. With our superior enclosures, we can modify features and size to be exactly what you need. We manufacture multi-stage centrifugal (MSC) blower systems for flow and pressure demands up to 41,000 SCFM and 26 psig with the same quality and warranty you expect from UBP. Like all of our systems, we look for the ways we can offer you MSC blowers to improve your performance. Did you know that MSC blowers can be optimized for efficiency by utilizing VFDs for trim control? Customers are often surprised to find that MSC can be the MOST efficient blower selection for applications with minimal demand fluctuations, drawing less power than screw, turbo, or single-stage variable-vane centrifugal blowers. Our engineers can work with you to identify a hybrid solution for your application combining MSC for constant demand and screw/hybrid/PD for your variable demand – all controlled from the same panel! Biogas (& landfill gas) is a natural product of waste. Where collected for reuse, odor control, or energy generation, it is typically conditioned and/or compressed. Biogas is dirty, odorous, and hazardous requiring conditioning and safety considerations to successfully utilize. UBP has extensive experience manufacturing biogas systems and can assist you from initial conceptual design through optimization of your existing system. 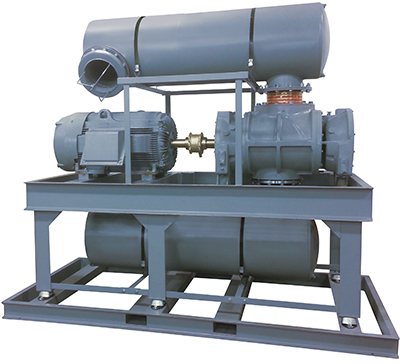 Sliding vane compressors can be used in the most difficult of applications where gas conditioning upstream of the compressor may not be economical or feasible and where a significant pressure rise is required. 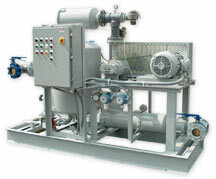 These compressors generally offer a lower initial capital cost and operational cost than liquid ring or oil flooded screw technologies. 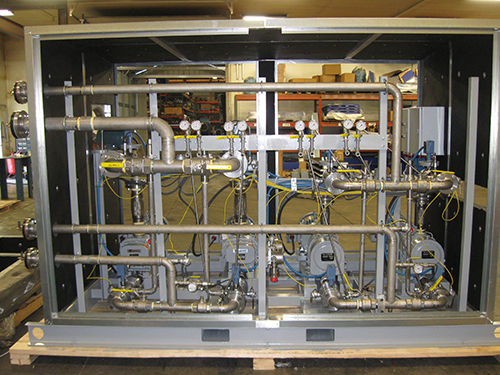 UBP manufactures sliding vane compressor systems for use in demanding biogas and industrial process gas applications.